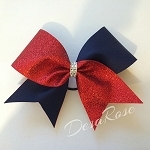 ♥ Making you stand out from the crowd one bow at a time! 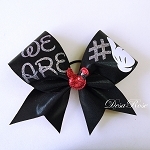 We bring you top quality hair bows that are mainly geared toward cheerleading but all girls love our bows alike. Whether you play softball, basketball, or any other sport give our bows a try! We strive to carry a variety of unique items at prices that you can afford. All of our items are handmade and have very detailed craftsmanship with thoughtful time and love put into every piece. If you would like to see something in our shop that we are not currently carrying please send us a message, email us at [email protected], or call us at (603)367-7283. We love to hear from our customers and are always looking for fresh new ideas. Happy Shopping!! !